If you're one of those people that is forever chucking packets of gum and mints into your bag and find yourself having one...or seven... throughout your day, then I may have something for you. 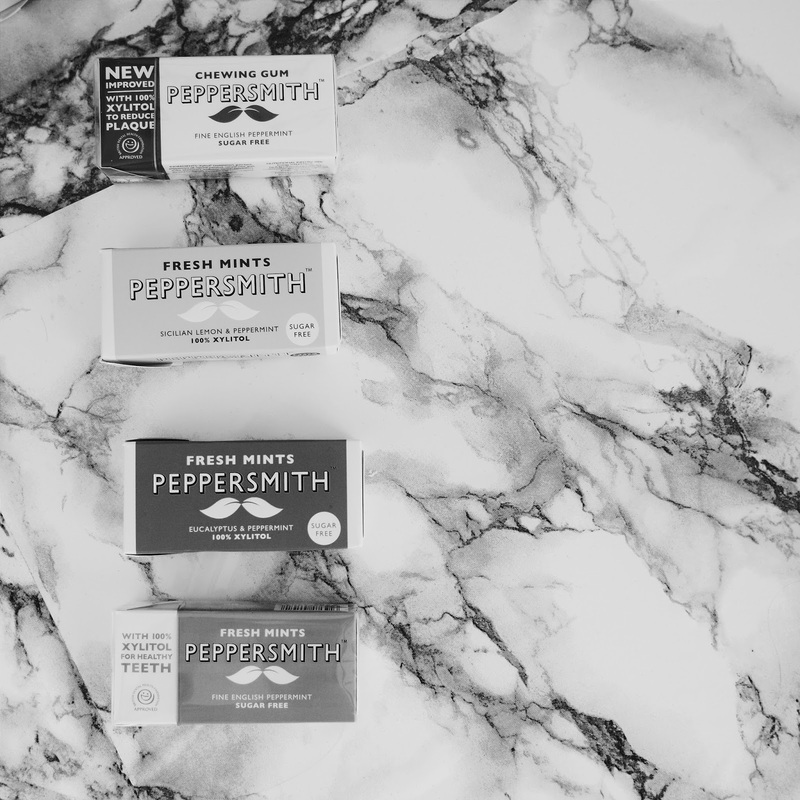 Peppersmith mints are a natural sugar free product with a super fresh taste. They can also help to keep teeth strong and white with the added ingredient of Xylitol. Xylitol is a natural sugar alternative which the company get from beech trees and vegetables. Who doesn't want to try a mint made from a TREE..huh?! Having one of these mints or pieces of gum after every snack or meal can help to reduce the risk of acid attack - how good is that?